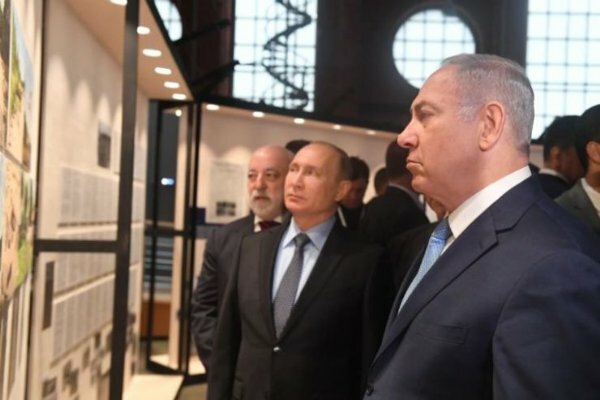 Russian President Vladimir Putin and Israeli Prime Minister Benjamin Netanyahu on Monday visited an exhibition “Sobibor: Victorious over Death” that opened at the Jewish Museum and Tolerance Center in Moscow. 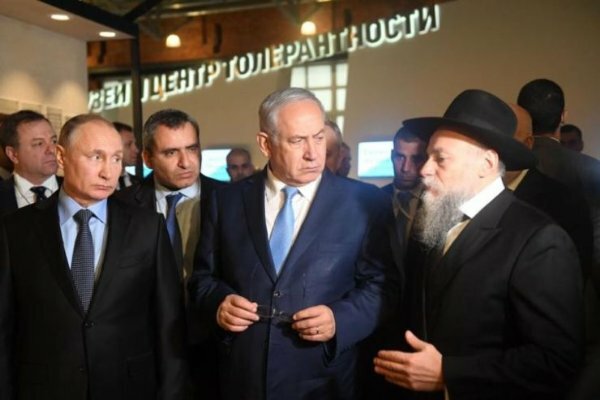 The Russian and Israeli leaders looked at a plan of the Sobibor camp for Jews and prisoners of war, which had been drawn up upon the description of the former inmates. The exhibition tells visitors in detail about the events of October 1943 and how the uprising helped to rescue 420 people, and also about those who failed to escape. 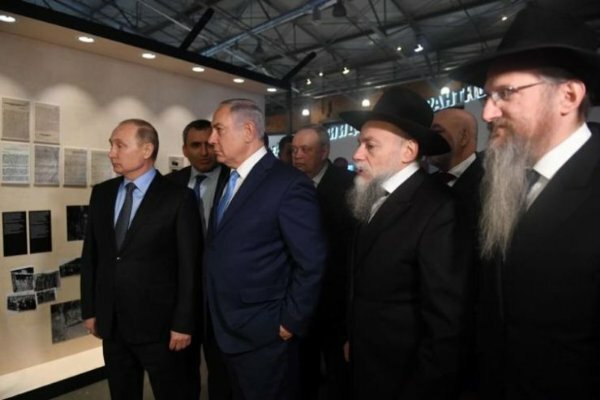 The two leaders were also shown photos about the town, where the camp used to be located, and also a documentary about Sobibor and an interview with one of the survivors of the uprising. The Sobibor concentration camp (in Poland) was in operation from May 1942 to October 1943. According to various estimates, from 150,000 to 250,000 Jews from Poland and other European countries were killed in its gas chambers disguised as shower rooms. The camp ceased to exist after the prisoners’ uprising led by Soviet officer Alexander Pechersky. 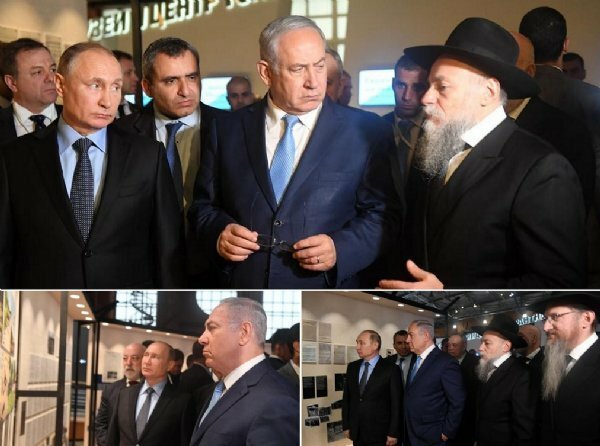 “I very much appreciate this invitation and your personal appearance in this place [the Jewish Museum and Tolerance Center], today, which reflects our common struggle against the greatest evil that humanity has known, and the awful price paid by my people, the Jewish people, and the Russian people and the great sacrifice of 20 million Russians alongside our 6 million, and the heroism of the Red Army in achieving victory over the Nazis. We see here this very moving presentation of documents from the Sobibor uprising, in which a Jewish Red Army officer led – against all odds – the successful breakout, the breakout to freedom. I think that the main lesson of the rise of the Nazis and, afterwards, their defeat, is that one needs to take a strong and timely stand against murderous ideologies. 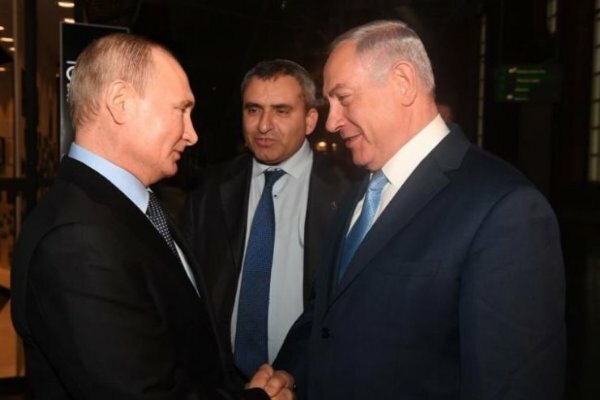 This is also our mission today and it is to this end that I want to speak with you, about our common efforts to promote security and stability in our region, and – of course – the cooperation between us, between Russia and Israel.